A community information night will take place on Thursday at the Peach Bottom Atomic Power Station. 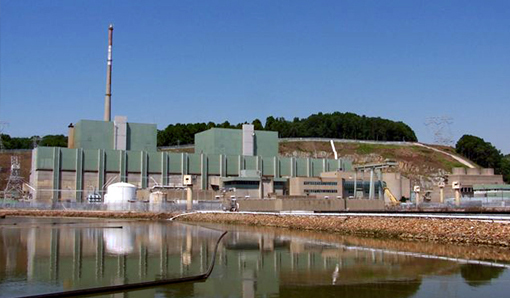 Neighbors of the Peach Bottom Atomic Power Station will have the opportunity to learn more about nuclear energy and the plant's operations at a Community Information Night on Thursday. The event will take place from 5 to 8 p.m. at the plant, which is on the west bank of the Conowingo Pond in York County, Pennsylvania. Visitors should park in the station’s outer lot at 1848 Lay Road. Buses will then transport them to the plant’s training center. During the information night, Peach Bottom employees will be at stations throughout the plant to educate visitors about operations, site maintenance, engineering practices, environmental stewardship, industrial safety, radiological safety, site security, emergency preparedness, used fuel storage and community outreach. Visitors also will receive a guided bus tour of the site, which is operated by the Exelon Corporation. They also will be able to view the plant’s main control room simulator, which is used to train and test reactor operators. Printed information about the plant will be available and light refreshments will be provided. Peach Bottom Site Vice President Mike Massaro said Community Information Night is a great opportunity to interact with the local community and teach them about daily plant activities. “It is always a fun time, and we are looking forward to this year’s event,” Massaro said. Visitors who require special accommodations or have questions about Community Information Night should contact Krista Connelly at 717-456-4818 or by email at krista.connelly@exeloncorp.com.